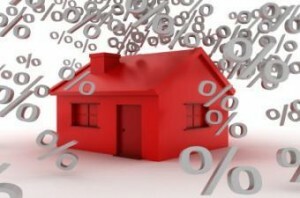 Contract mortgage interest rates decreased slightly from January to February, according to data from the Federal Housing Finance Agency (FHFA). The agency reported late March that the national average contract rate for the purchase of previously occupied homes was 4.30 percent for loans closed in late February, a decline of 0.07 percent. The interest rate survey also showed the average rate on a conventional, 30-year fixed-rate mortgage was 4.45 percent, a drop of 22 basis points from January. The decline in the 30-year rate stands in contrast to Freddie Mac’s weekly Primary Mortgage Market Survey, which shows rates starting the month at an average 4.23 percent and rising steadily over the weeks to finish at 4.37 percent. The effective interest rate was down 14 basis points, averaging 4.38 percent for the month. The effective rate accounts for the addition of initial fees and charges over the life of the mortgage. Overall, the contract rate on the composite of all mortgage loans was 4.22 percent, also down 14 basis points from 4.36 percent to start the year. As interest rates are typically locked in 30-45 days before a loan closes, February’s data reflects market rates from mid- to late January. Meanwhile, the average loan amount for all loans was down $8,700 to an average $275,700, FHFA reported.